The stroller is a status symbol akin to a guy checking out another guy’s ride. There is a hierarchy in quality and moms do check out what stroller another mom’s kid is being pushed in. Personally, my family has gone through a total of 6 stroller, which is pretty low number considering many in my social circles have gone through more, I think. We started with a Peg Perego Venezia which converts from a carriage to a stroller (the BEST). 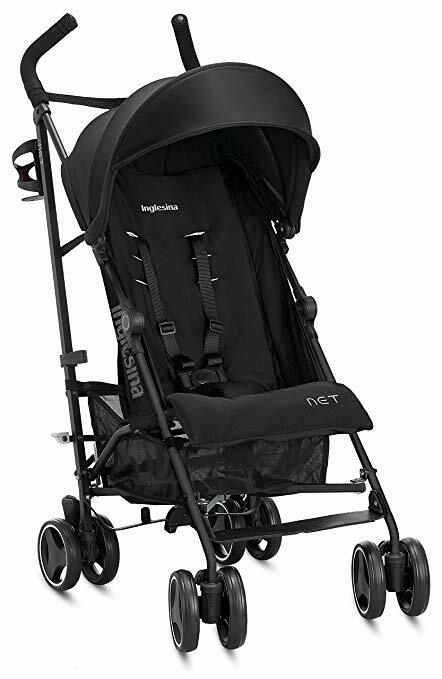 Then, when first born turned into a toddler, we ordered the Inglesina Swift umbrella stroller which had a great run! To pair with the Inglesina, a sturdy Italian brand, we got a Combi umbrella stroller for travel, a stroller we could beat up and at a lower cost so that we wouldn’t mind if it got lost by the airline or damaged during tavel. Then, we got as a shower gift from my co-workers a Peg Prerego Aria double stroller to prepare for Baby #2 and having to push around two small children. By the time baby number 3 rolled around, the Inglesina had hit the dirt, we left the Combi on some island we visited for vacation once and we had loaned out the Peg Perego Buggy to relatives who didn’t take good care of it. The wheels on the double gave out and we opted to give to Goodwill rather than try to fix it or get the company to repair it. We opted for a Graco Snug Ride for Baby #3 and a B.OB. jogging stroller when I was ready to get back in shape and certainly. Noww, while we didn’t get any of them to make a statement, I have had many moms and dads comment on the pricier high end ones while walking in the parks, malls etc. Perhaps, that is why there are so many people conducting that Google searches each day looking for the most expensive stroller. Folks are searching for a status symbol and there is a preconception that most expensive means the best! It’s no wonder, you can see celebrities strolling their children in many of those on this list. And you wouldn’t be a mommy blogger if you didn’t do the obligatory celebrity stroller post every now and again. Check out the posts from Classy Mommy. Or Cheaty Mommy OR About.com or Pregnancy Fashion or iVillage featuring celebrities pushing around high end, brand named strolelrs. People flock to buy whatever celebrities purchase and that stroller companies know that endoresement mean lots for their bottom line. The celebrities know that too. That is why Jennifer Lopez and Marc Anthony sued Silver Cross from publishing on their website an unauthorized endorsement which featured a People magazine photo of them pushing their twins in two Silver Cross prams. 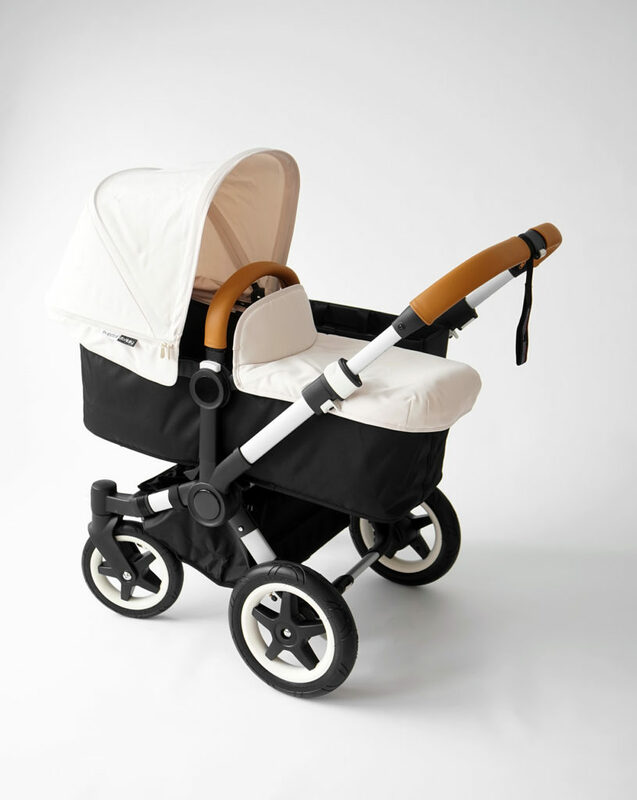 DESCRIPTION: For over 128 years, Silver Cross has been handcrafting traditional prams in Northern England. This model boasts three coats of high shine lacquer, English leather and is painted by hand and individually numbered. BELLYITCH SAYS: Wow! Princely! Quite Royal indeed. 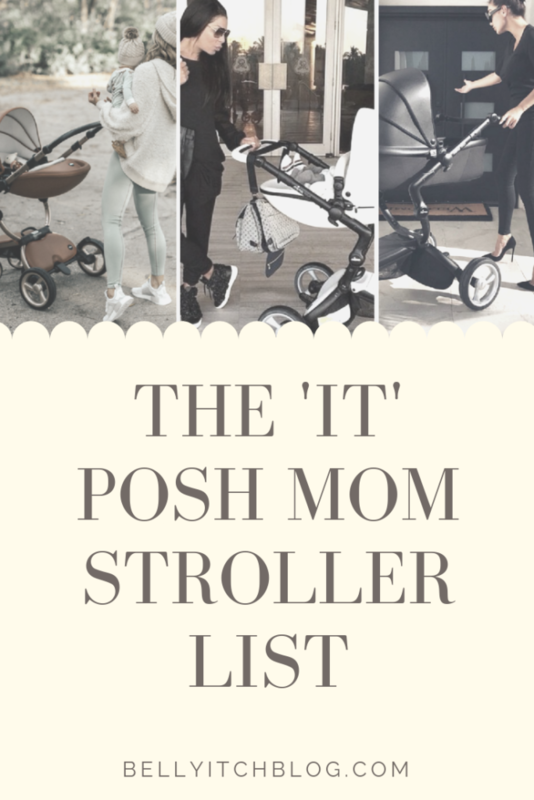 For the second year on the row this pram tops this list, though the next stroller, a trike techie toy, could easily surpass this price tag with all the add ons. Say what? DESCRIPTION: A trike stroller with fifties-style fenders and embellishments. BELLYITCH SAYS: When taking the kid out for a nature walk isn’t enough, you can install a DVD player to entertain him while you tune out with your ipod and built in deck! yeah! Techie overload, but what a beautiful piece of craftsmanship, no? DESCRIPTION: How’s this for a product statement? 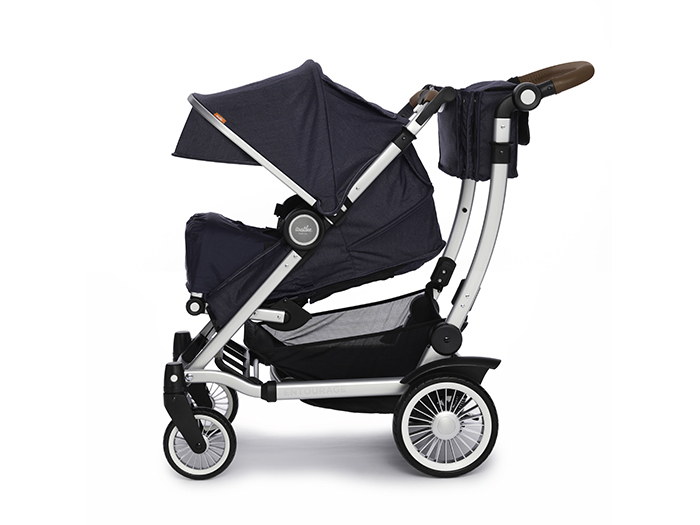 The Stokke™ Xplory® Complete baby stroller is the only stroller you’ll ever need to buy! As winner of the prestigious Baby Wereld Best Baby and Infant Product Award 2006, Stokke designed the Xplory Complete to meet the needs of both parent and child from the moment he’s born. 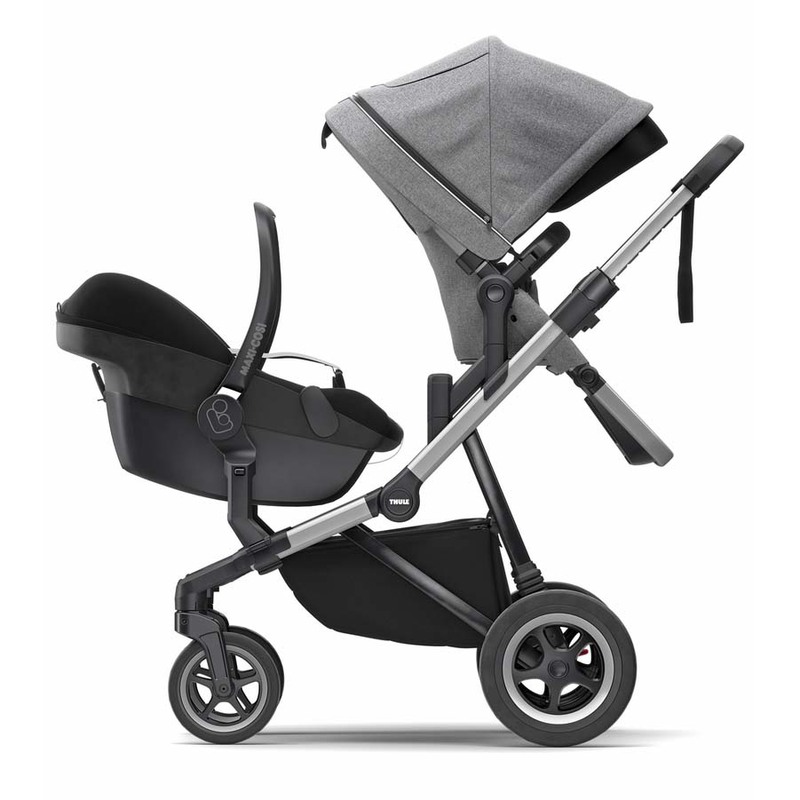 The Stokke Xplory Complete is an innovative urban stroller that adapts to your changing needs. You’ll enjoy city life on the move with the stroller’s adjustable handle, both for height and angle. It’s light and easy to maneuver, with large rear wheels and dual front wheels for navigating narrow spaces, going up and down stairs or strolling at the beach. A shock absorber placed between the wheels and frame means an extra smooth and comfortable ride. Because the stroller lifts your child high off the ground to give him a full view of his surroundings, he’ll enjoy the opportunity to see everything that’s going on around him. The Xplory’s basic accessories include everything you’ll need for a fun day out with your child: A padded baby insert that lets you adjust the seat’s depth to fit the size of your baby, a five-point harness with padded shoulder straps, a protective rain canopy, and a trendy shopping bag positioned in front of the child’s feet for stability. 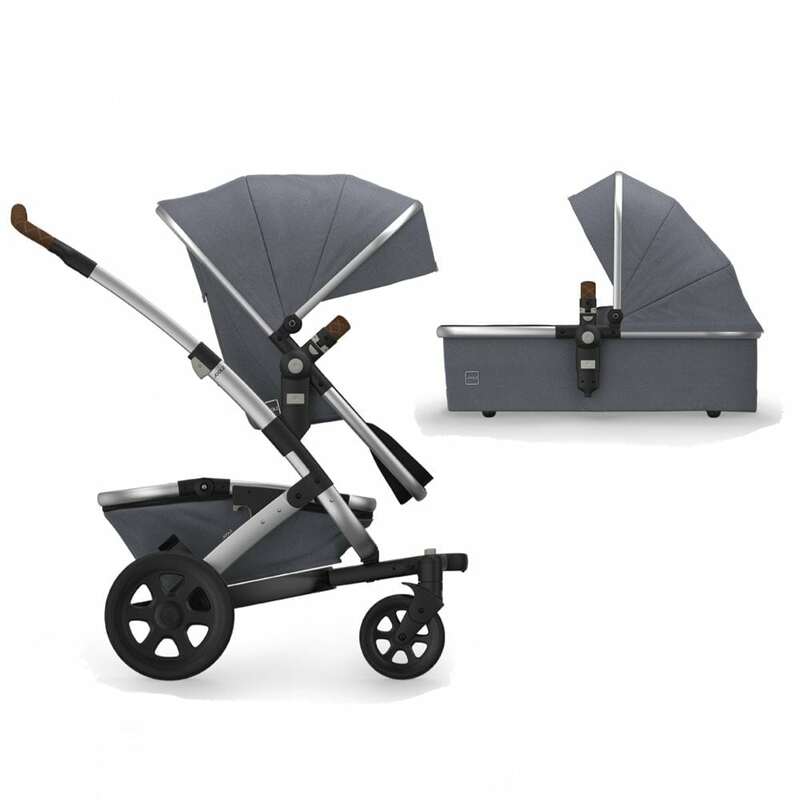 With the Stokke Xplory Complete stroller, you also can buy extras that go with the baby bag bassinet — a fashionable changing bag with handy changing mat, a cozy foot muff, a practical travel bag, and an adjustable parasol for sun protection. This mod model comes in five cool colors, and all fabrics are removable and washable. Stokke—it’s the stylish way to get around! BELLYITCH SAYS: This is an “it” stroller indeed. And is slowly replacing the Bugaboo as the favorite or wannabes, posers and the nouveau riche. 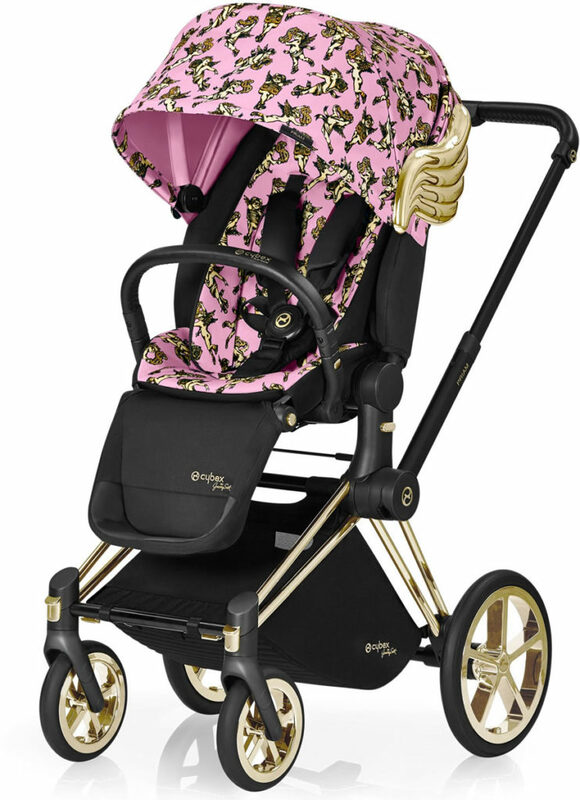 The babies inside these strollers are decked out in mini-adult Designer clothes. The diamonds on the hands of the moms pushing these things can put your eye out, I mean the shine is that bright. And they are being folded and thrown in the back of Land Rovers. Pretentious? Naaaah! 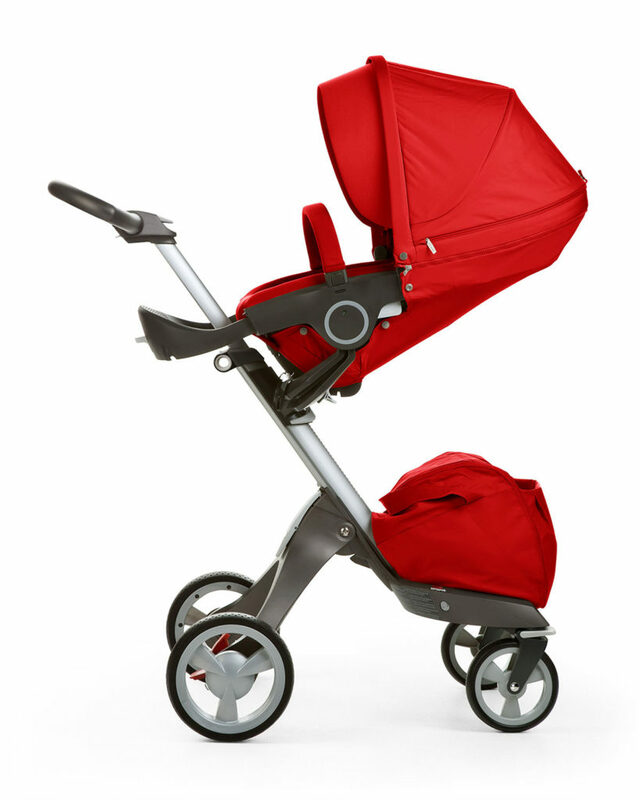 Their owners just appreciate a gorgeous quality crafted stroller, that’s all (wink). Get ready for the big leagues. The Orbit Infant Travel System is like no other stroller you’ve seen. Since we first laid eyes on its distinctive design, we knew it was something special. 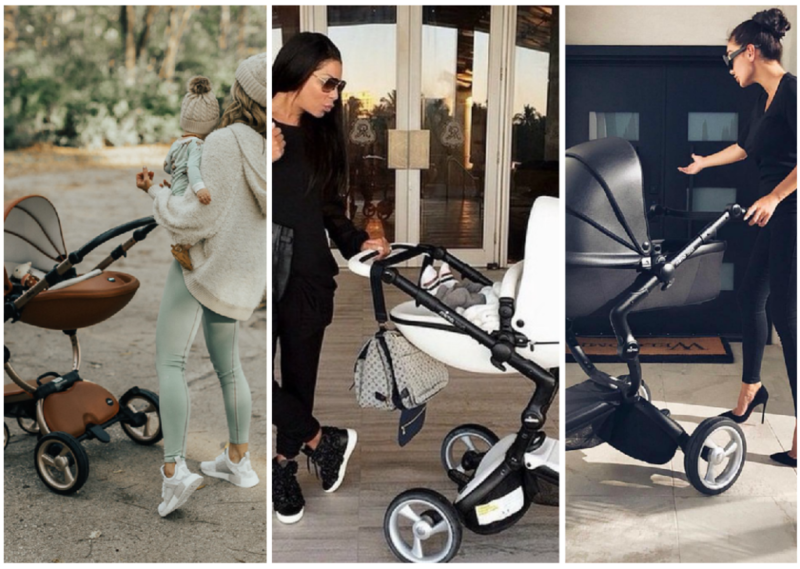 Little did we realize, however, just how revolutionary the Orbit design would be for modern parents who are constantly on the go and need a stroller that can keep up. It also happens to look super-stylish with its sleek design and sophisticated neutral color palate. 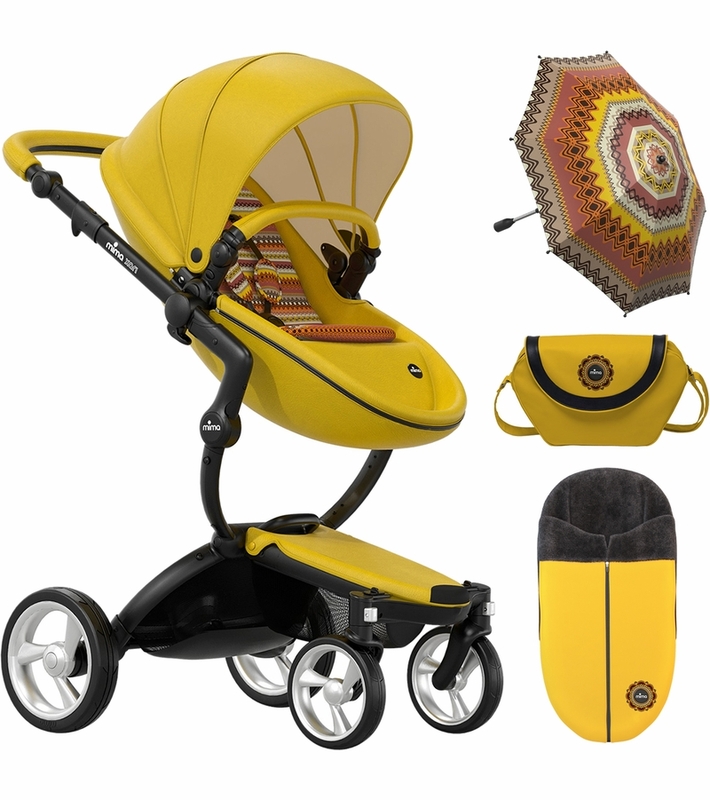 You will certainly turn some heads when you use this Travel System. Luckily, you’ll have a spare minute to brag about your new favorite piece of gear because the Orbit saves you a ton of time and trouble. Infant Seat features: Common plug-in for Orbit’s 3-in-1 starter kit; Provides maximum security for your baby; Fits infants up to 22 pounds / 29 inches; Complies with all Federal Motor Vehicle Safety Standards; Only car seat that ergonomically rotates for simple docking and undocking; No other US infant car seat has a full EPP foam liner for maximum energy absorption; Micro-fiber upholstery’s patent-pending design easily removes for cleaning; Unique ballistic nylon skin protects your seat and is padded for your carrying comfort; Patent-pending soft carrier handles enable exceptionally comfortable carrying; Sunshade extension provides extra coverage for your baby; Easily docks onto the Stroller and Base with the patent-pending SmartHub; Stroller features Makes it easy for parents to keep up their active lifestyles; Allows your child to see the world in 360 degrees; Full rotation allows your baby to be rear, forward, or even sideways facing; Exclusive twist-and-lift mechanism allows easy one-handed folding; Advanced 3-D folding design results in a compact car-trunk when folded;Orbit’s custom aerospace grade aluminum tubing and frame optimizes strength, drink holder and more. BELLYITCH SAYS: This is a beautiful instrument. I love it! BELLYITCH SAYS: This looks like a tough pretty piece of craftsmanship! DESCRIPTION: Duette SW holds two children and drives like a dream, with large wheels, all-wheel suspension, rear brakes, adjustable seats and a steering wheel! You’ll be the envy of the neighborhood with a steering wheel on your stroller!Even more impressive is its maneuverability. 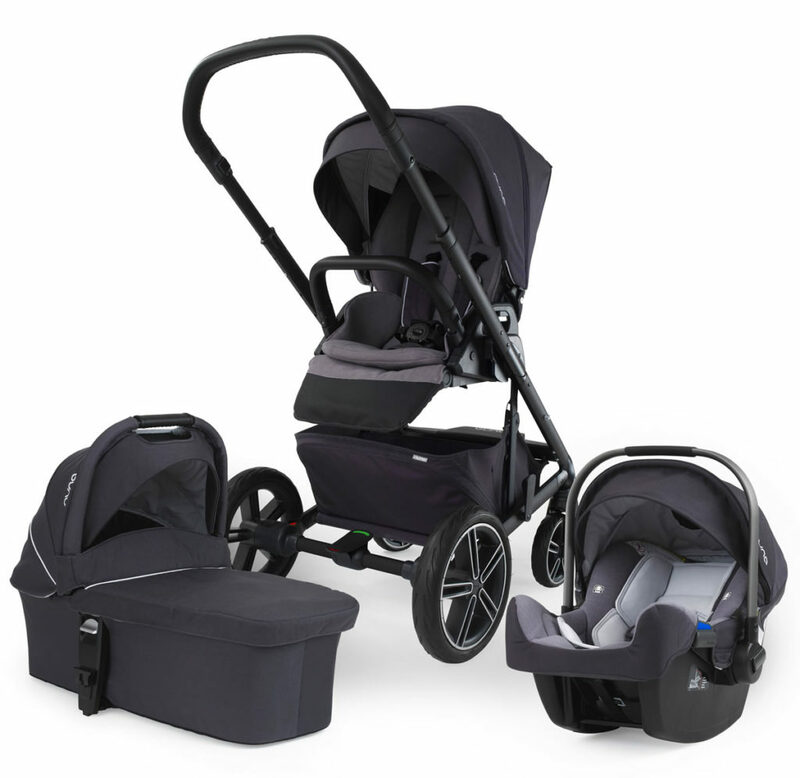 The Duette SW’s large wheels, adjustable steering wheel, all-wheel suspension and rear brakes make this stroller easy and fun to “drive.” You’ll love how the adjustable, two-seat system allows two stroller seats (included) or two Primo Viaggio SIP 30/30 car seats (sold separately) to face the front, rear or each other. Dual five-point “Freedom of Movement” harnesses, two individually-adjustable hoods with zip-open ventilation, and two leg covers are included for each child’s comfort. Made in Italy. BELLYITCH SAYS: Love the colors and design of this thing. With all these twins these celebrities are spitting out left and right these days, this wonderfully designed and constructed is right on time! The price is not that exorbitant either for all you get either! Description: Peg Perego’s Triplette SW stroller has the versatility to allow all three seats or car seats to be arranged in several different configurations. The Triplette SW features handlebar steering that adjusts to different heights and angles for maximum control and the parent’s comfort. The all-wheel suspension makes the ride smoother even over rough terrain. 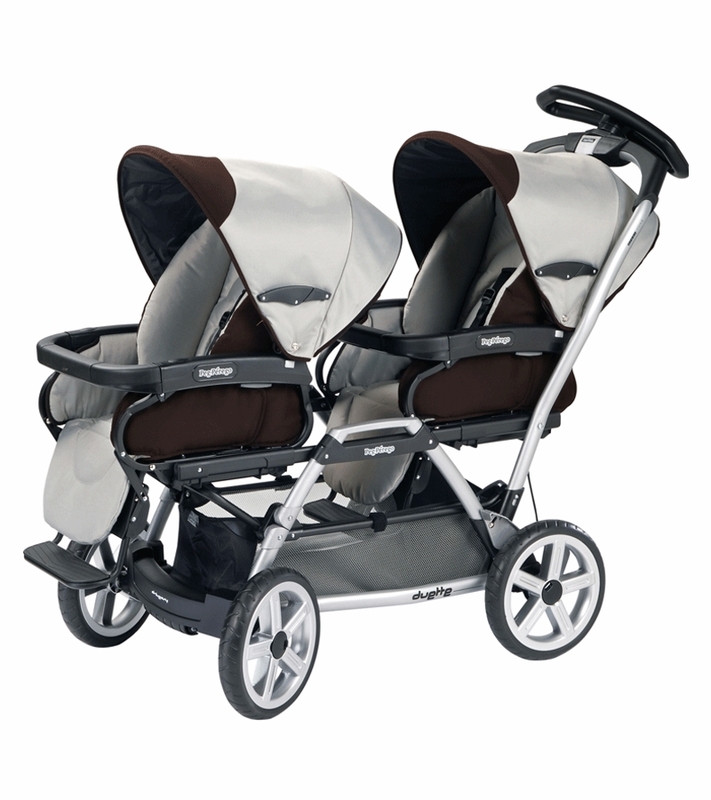 It’s Travel System-compatible, so three Primo Viaggio SIP 30/30 car seats can be attached easily. 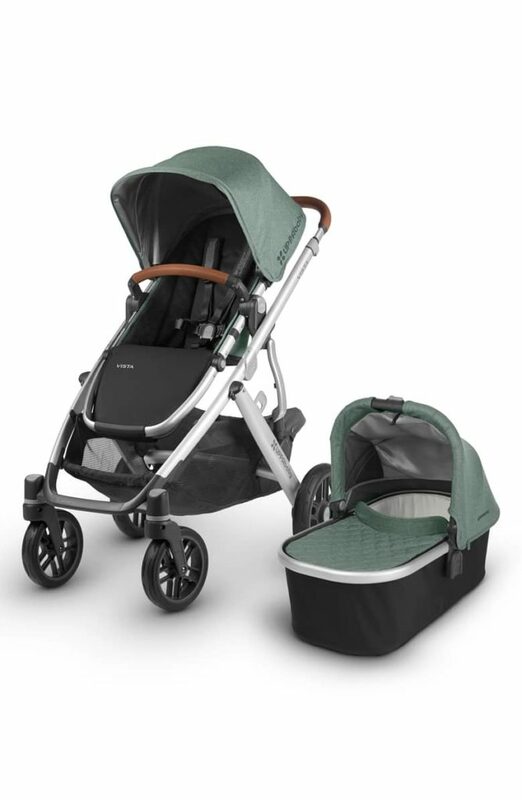 Includes chassis, three stroller seats, three individually adjustable hoods with zip-open ventilation, and three leg covers for warmth in inclement weather. Made in Italy. BELLYITCH SAYS: Ditto! With all these twins being born these days, it’s only a matter of time before Triplets become more of a norm, so this fabulous product would be right on time! Ha! 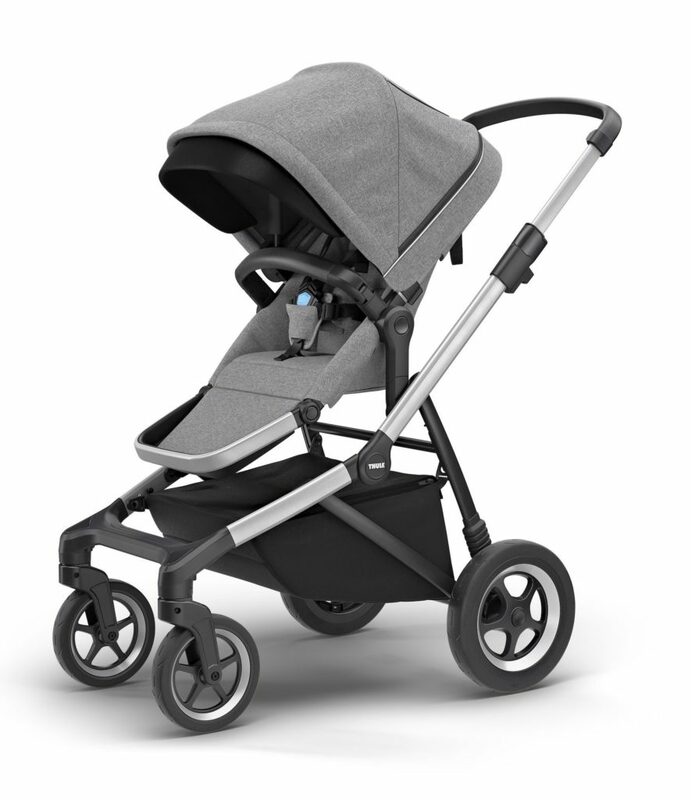 DESCRIPTION The Summit 360 is the solution for parents looking for a multi-functional stroller that provides exceptional performance in both urban landscapes and off the beaten path. With the flip of a switch, the Summit’s front wheel releases to swivel mode for precise maneuverability in crowded areas or locks in place for a run or power walk. 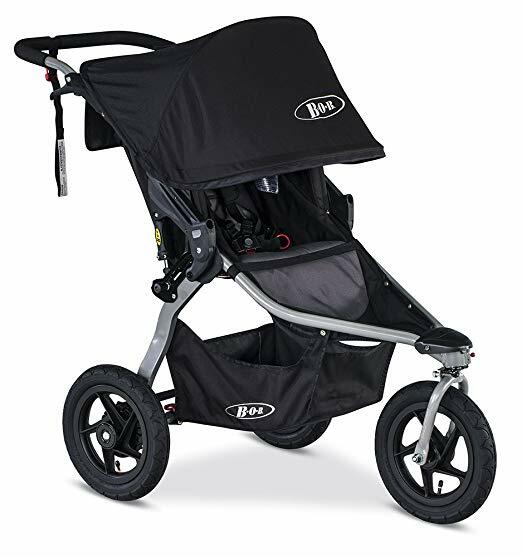 The Summit’s one-of-a-kind all-wheel independent suspension promises a smooth comfortable ride for you and your baby and the incorporation of Baby Jogger’s patented Quick-Fold Technology allows you to take this stroller/jogger hybrid virtually anywhere. Quick-Fold Technology for easy transport and storage. Universal Accessory Mounting Bracket makes accessorizing your stroller a snap! All-wheel independent suspension. 16″ rear and 12″ front molded polymer quick-release pneumatic wheels. Lightweight aluminum frame. Switch-lock lockable swivel front wheel. Padded reclining seat. Vented seat recline with retractable weather cover. Ergonomic handlebar with wipe-clean grip. Multi-position “no pinch” canopy with clear view windows and side ventilation panels. Seat back storage compartment and large under seat storage basket. Adjustable 5-point safety harness with shoulder pads. Rear parking brake. BELLYITCH SAYS: Very nice! Another A-line beauty! 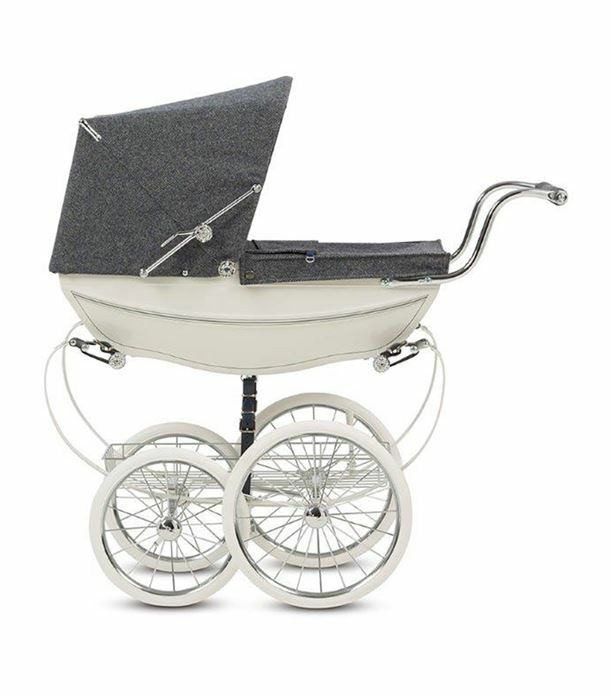 Silver Cross Balmoral Pram retails for $2,995.00. 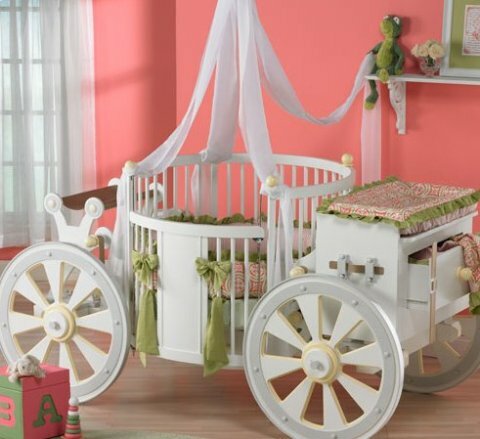 For over 128 years, Silver Cross has been handcrafting traditional prams in Northern England. This model boasts three coats of high shine lacquer, English leather and is painted by hand and individually numbered. Okay! THE MOST EXPENSIVE INFANT CARRIER SYSTEM The Orbit Baby Infant Carrying System retails for $900.00 This sytem includes car seat that moves from car and attaches to become a stroller. There is metal chassis and aerospace-grade aluminum backbone,EPP foam liner, easily removable and washable micro-fiber cloth upholstery. 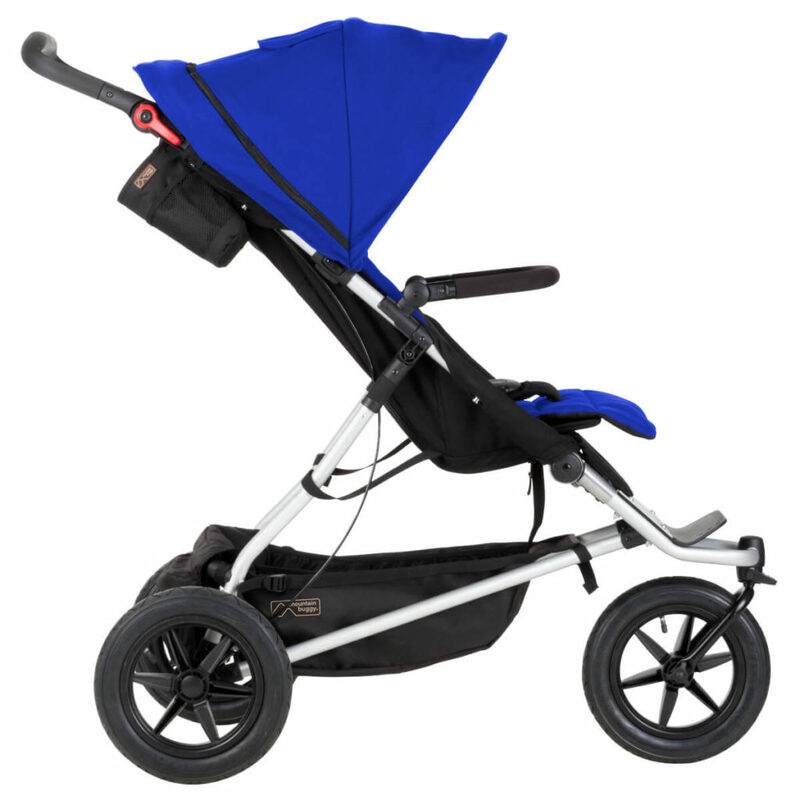 The stroller features 360 degree rotation, removable Cargo Pod, sunshade extension,unique front suspension and rear pneumatic tires, convenient drink holders, telescoping handles. EDITED TO ADD: The ever popular Bugaboo is close behind. Every Celebrity I’ve read about and those Park Avenue and Orange County moms are strolling their babies around in this thing. 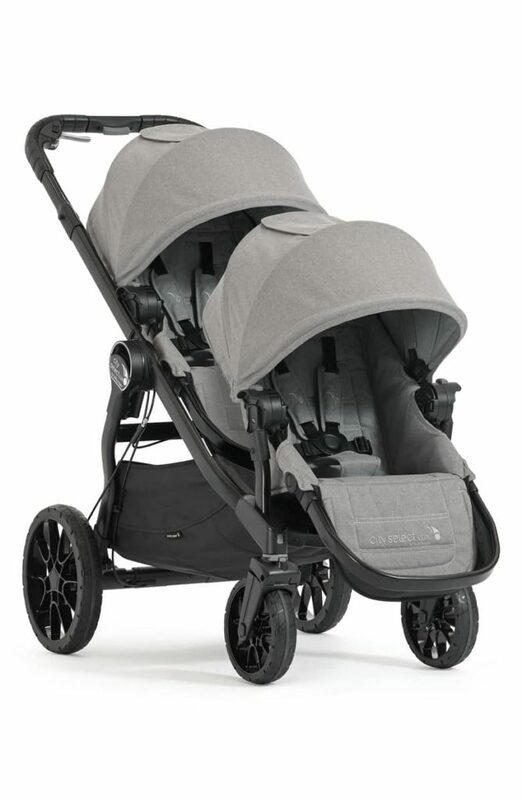 Or shall I say their nannies are…This Bugaboo 2008 Cameleon Single Stroller Base in Dark Grey with Pink Canvas Fabric retails for $899.00!!!! Baby Jogger City Series Double 12″ Wheels retails for like $599.00 and has Front suspension that helps absorb bumps and keep wheels even on uneven terrain and boasts swivel front wheels with locking mechanism for fixed straight position, multi-position adjustable handle, deep padded reclining seat and can hold up to 100 lbs of kids! 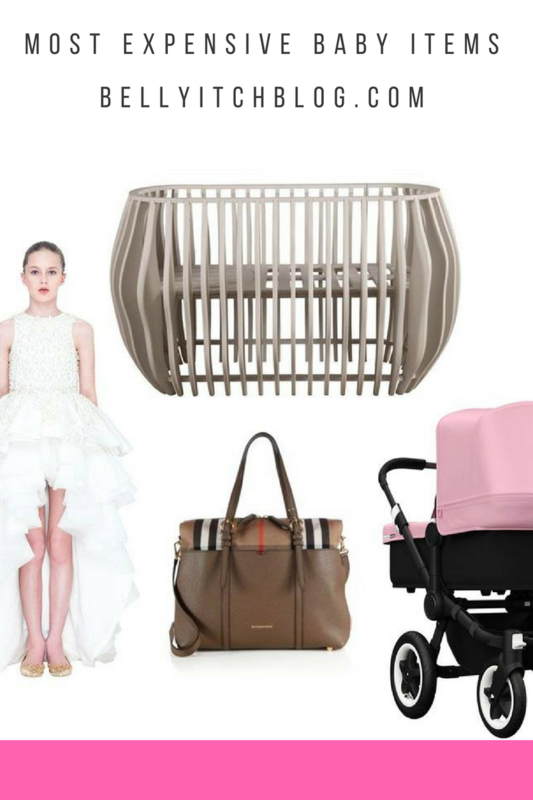 A little while ago, we used to publish a list of the most expensive baby and maternity items on a biennial basis. They were very popular features. In a throwback to those posts, here are the most expensive baby or child items (or closest to the top) that are out these days. Most Expensive Clothing for a baby or child– Mischka Aoki sells a sleeveless drss with silk satin top panels of macramé lace that is also embellished with Swarovski crystals and pearls. The layered and ruffle skirt panel dress with a train comes with a garment bag and costs a whopping $15,806! Get it at LUISAVIAROMA. For a young gentleman, a Burberry flight jacket made of tartan wool, shearling lining and zip cuffs with leather trims will run a mom or dad $3,195. Get it at Burberry! Most Expensive Diaper bag – Burberry also sells a top of the line diaper bag made of a combination of rich leather and familiar cotton twill checks. The bag comes with a removal shoulder strap, has double top zip closure and protective metal feet. It has an inside zip compartment and divider pocket. The leather and cotton imported bag costs $1,495. Get it at Saks Fifth Avenue! Most Expensive Crib – Nursery Works has designed an oval solid maple crib that converts to a bassinet by removing front and back panels. The $7,500 crib is made in Los Angeles but comes with an oval coco core mattress from Pure by Babyletto and is Oeko-tex certified non-toxic, made in Slovenia. Get it at 2Modern! 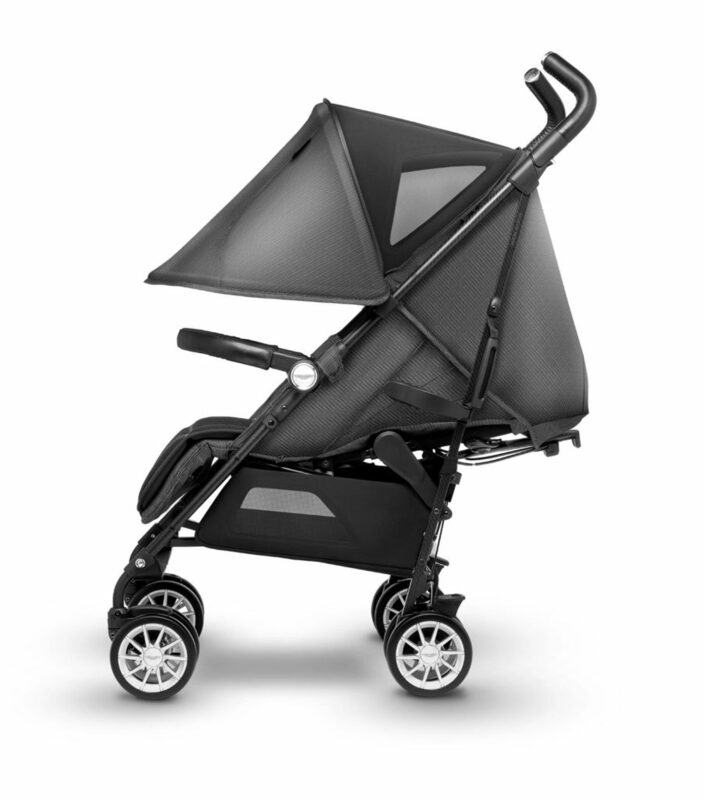 Most Expensive Stroller– There are a lot of high end strollers out there but Bugaboo’s Donkey Twin Stroller Bundle which includes 1 sun canopy 1 bassinet apron is a hefty $1,885–1,975, depending on accessories. Get it at diapers.com! If you have it and can afford to spend that much on top of the line, quality items, why not, right? The other day, I was shocked while surfing the internet to see a couple of writers at online magazines use Bellyitch as an adjective to describe an expensive stroller. Woot! Very cool to see the posts get traction and spawn copycats, shameless copycats, even really shameless , shameless onesLOL! All in fun! Also, monitoring the traffic patterns, it appears that the diaper bag designers, cribmakers and clothing lines have been featured over the years are fed generous visits from Bellyitch readers, and hopefully those visits translate into sales! The lists have gained so much traction that the site now commands 4.5% of the Google’s 2 billion search per day traffic for those terms which would be around 84 million if all those searches were for these topics which, they aren’t of course, but still, that’s a lot of people! The point is that it’s not a bad thing to be on such lists! The inventor of the 2007 and 2009 most expensive stroller, The Roddler, contacted me a while back to give me updated photos. So see, he gets it! All that to say, we are taking nominations for designers and companies to be featured in the infamous list from now until June 30. They can be anonymous too. Simply send an email to jj (at) Bellyitchblog.com with the tag line “Most Expensive” in the subject header. It would be helpful to include a jpeg or gif image and a link to a store where Bellyitch readers can purchase the item. OR ENTER THE INFO BELOW! Also, if your company, online boutique, clothing store would like to be featured prominently in an ad, to host a giveaway or be part of the publicity campaign for the 2011 list when published, shoot me an email to jj@bellyitchblog.com. As noted above, the investment will last years and years. Me and my tiny staff of interns and writers are aiming for a late summer publication date! The creator and president of the company (Kid Kustoms) that makes THE RODDLER, the most expensive stroller in the world contacted me to share actual photos to replace the sketch of his “infamous” but much sought out and envied stroller that is featured at the top of my very popular”Most Expensive Strollers” post that gets hundreds of visitors weekly. Check this puppy out that starts at $2,500 before customization. I’ve discovered in my online research that Tech aficionados and uber sleek gadget geeks rave the most about this aerodynamic gem and most of them don’t even have children yet! too funny! the SECOND ANNIVERSARY/BLOGAVERSARY of BELLYITCH! This list includes some of the most expensive, high end, Designer and labels that make superior quality and exquisitely designed and constructed BABY clothing. This list is a follow up to Bellyitch’s 2007 Most Expensive Baby Clothes which gets thousands of Google hits each month. As previously hypothesized, those looking for THE MOST EXPENSIVE BABY CLOTHES are doing so for one of several reasons: 1. They are in the market for expensive baby clothes and are of the mind that the more you pay for an item, the better it must be. (not always true, but many times the items are often hand crafted and hand sewn and are made of the best quality materials, with durable stitching); 2. 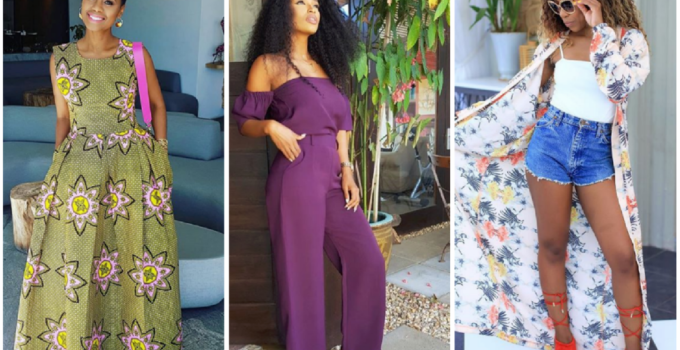 They are the assistant for a celebrity having her first child and was given the assignment to go find out what the other celebrities, preferably A-listers, are outfitting their children in; and 3. Curious. Inquiring minds want to know and many people are enamored with the rich, wealthy, and famous and their lifestyles down to how they outfit their babies. 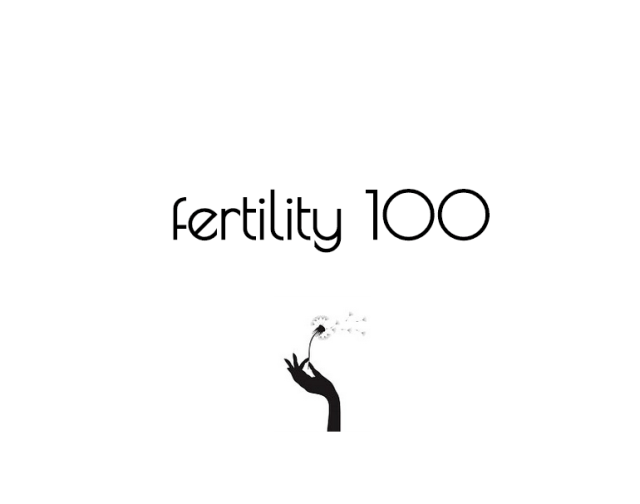 As for the methodology, in order to be considered for the list, it not needed be an exclusive baby line, but must have options for babies as young as 36 months and of course earlier, preemies up to 3 years. And oh yeah, the line must have at least one item that cost $75.00 retail because that is a benchmark for expensive. I mean if you are going to purchase a little piece of clothes for a 12 lb child that s/he will outgrow within weeks and will pay as much for that item as most people will pay for a full grown adult version of the same item…. Without further ado, here is an update to the 2007 post. As usual, if you click on the designers logo, you will be taken to the brand’s online store. The price listed is the retail price for the item shown and below that is a link of the online boutique where you can find it. If you want more, I highly recommend an invaluable source The Dashin Fashion Online site which lists the top designers and online boutique stores in a search able and user friendly format. The list is not exhaustive and certainly, there are dozens, maybe hundreds of other lines and brands that can fit into this list, but this was an exhausting project putting together and I had my limits. Had to move on with my life! I hope you guys appreciate this! 😀 Please drop me a comment. I love getting them and get so few. Designed by Monica Rusconi, Album di Famiglia is an Italian family affair, and its spirit is based on simple but effective values, on which its reputation has been built: the highest quality materials, chosen by the designer with the baby’s comfort in mind, and tailored into cosy and practical clothes. With regard to colours, the palette is worthy of a colourist from Farrow & Ball! BELLYITCH SAYS: I love this line because it is bright and soft and durable. 2. DESIGNER: Aletta 30 years of unique precious garments. Superbly manufactured and with very special fabrics too. Aletta fabrics are exclusively made in Tuscany where every single item is the result of expert hands of those who have manufactured them with care and love, with experience and skilled craftmanship. BELLYITCH SAYS: This design is making a second appearance on the most expensive list. Pretty. BELLYITCH SAYS: I love the “mini me” pieces in this line. I could literally see myself outfitted in all the pieces of this line for myself. But it is no wonder, this designer is a favorite of c,elebrities, especially for the label’s “bubble” dresses. The likes of Paris Hilton were often photographed by the paps in Alice & Olivia originals. Born in Belgium, Anne Kurris designed for the likes of Jean-Paul Gaultier & Dries Van Notten before starting the kids line that bears her name. Anne Kurris’ designer children’s clothing collection truly exemplifies cool kids clothes, a true artist, Anne Kurris designs her own fabrics and her prints are always sophisticated and unique. As an artist, Anne Kurris sets the trend in luxury kids clothing. The Anne Kurris boys & girls collection – ages 6 months to 18 years – is optimistic with a touch of humor and uses only natural fabrics: cotton, linen, silk and wool. Appaman is inspired by and named after the childhood companion of founder and designer Harald Husum. While growing up in Norway, Husum befriended a corduroy ape named Appaman. Together they traveled the fields and fjords of their native land, sharing many fantastic adventures. Appaman reflects the whimsical spirit of those youthful times and celebrates the unbreakable bond between a boy and his ape. Celeb mommies such Gwenyth Paltrow, Angelina Jolie and Julie Robers choose Appaman for their little ones. BELLYITCH SAYS: These clothes look so playful that you’d see a celebrity child frolicking on the playground in one of the popular T-shirts ,for example, and you wouldn’t even think the t-shirt cost like $60 or anything! That is how cool the clothes is in this tres expensive line. Tee hee! 6. DESIGNER: Armani Baby Armani Jr. presents a contemporary look that combines elegance and comfort and follows the latest trends in a tasteful and refined manner. Giorgio Armani has created an award winning designer collection for children from Italy. The Armani Junior Collection, created by one of the world’s leading designer houses, are created with outstanding and fresh elegance. Armani Junior is designed with ultra-luxurious fabrics making it a top selling children’s clothing brand worldwide. BELLYITCH SAYS: If you are going to be spending over $300 for a tiny coat that a child will outgrow in one season, will you adopt me? No seriously, this is a posh and extravagant line so would you expect anything less of its baby line? nope! 8. DESIGNER: Berlingot This line is a classic and detail-oriented brand from France. The designer offers wonderful quality clothing for boys and girls in sizes for babies, toddlers and children up to age 10 years. BELLYITCH SAYS: This is very popular line and can be found sold for resale or bottom basement prices in various boutiques world wide. Fans flock to the playful but classic designs. Blufin S.p.A is an Italian fashion house founded by Anna Molinari and her late husband Gianpaolo Tarabini. The core brand is Blumarine, which they started in 1977, followed by Miss Blumarine (1987, 8-14 year old girls), Blugirl (1995, for teenagers) and Anna Molinari (1995), which is being repositioned as their luxury brand. Blumarine has been described as catering “for that brand of Italian miss for whom no dress is too small nor any diamond too big”. BELLYITCH SAYS: These very frilly prissy twirly girls dresses are to die for. Lots of pastels and pinks. Very feminine. Not sure if its me, but if you’re into Victorian prissy styling, this is up your alley. 10. DESIGNER: Bonpoint France’s designer children’s clothing brand Bonpoint for over 30 years has been dressing children with luxurious and understated, traditional and modern, artistic and fashionable clothing with excellent quality and creativity. In 1975 Marie-France Cohen was inspired by her family to create Paris’ first children’s clothing house. Today, with over 80 stores worldwide, Bonpoint has evolved into a designer children’s clothing label worldwide that is very popular with holywood celebrities, babies and kids. Bonpoint’s smart chic and glamorous looks come through in subtle colors, beautiful materials and perfect cuts. Perhaps no other country does baby clothes as well as the French (really, have you ever seen a poorly dressed French baby?) Bonpoint, with locations in New York and London, is for parents who don’t want to dress their kids in a mini Juicy Couture tracksuit, and prefer something a bit more understated and classic. The boutique is famous for its party frocks and boiled wool cardigans. Suri Cruise wore a Bonpoint dress in her Vanity Fair debut, and moms like Angelina Jolie, Elisabeth Hasselbeck, and Gwen Stefani have scooped up other Bonpoint creations. BELLYITCH SAYS: Celebrities flock to this line’s clothes, so if that is your thing, outfitting your child like wealthy or rich celebs, run, don’t walk to Bonpoint! Good luck! Founded in England in 1856, Burberry is a luxury brand with a distinctive British sensibility, strong international recognition and differentiating brand values that resonate across a multi-generational and dual-gender audience. BELLYITCH SAYS: This is on the top of the food chain so there really isn’t much to say, but if you carry your child out in a $220 coat expect people to stop and point and stare and say, “ooh! look at that baby in that Burberry coat!” Yes, the signature plaid is the ultimate most identifiable brand patterns around! Roberto Cavalli first showed his collection in 1972 in the historic White Room of Palazzo Pitti in Florence, Italy. Cavalli has been recognized as a fashion designer who created trends instead of following them, which is shown throughout his collections. To continue his eccentric tradition, he took the Roberto Cavalli catwalk to MilanoCollezioni. Over the years Roberto Cavalli has expanded his line of fashion to include Roberto Cavalli Angels and Devils for children ages 4 years to 14 years old. BELLYITCH SAYS: Going out for tea or need to show off your rich baby at a country club event or for the family Christmas card, here’s your line. This very high end well name brand is tops! 13. DESIGNER: Catimini France’s designer children’s clothing label Catimini is a brand apart with its determinedly creative upmarket garments for children in exclusive fabrics in trendy and refined colors. Part of the world leading Group Zannier, Catimini exalts the imagination of young and old alike. Catimini’s “Atelier” collection adopts all the specific values of the line and develops an elitist, designer couture spirit for babywear and irresistible little girls and boys. Catimini is one of the best loved European lines from France. The creative Catimini Collection has exclusive fabrics within sophisticated style characterized by its affective spirit and colors. The Catimini Collection is always enhanced by embroidery and application. We just love every piece Catimini has to offer each season. Welcome to the world of Catimini. BELLYITCH SAYS: I love the girls clothes in this line because they are ecclectic and funky and remind me of Betsey Johnson with all the color and variety of lines and patterns. Love it! BELLYITCH SAYS: The clothes in this bonafide real life princess’ line look just like the clothes Prince Henry and William used to run around the palace in and so…pretty stuffy looking to me, and quite prim and proper. Chloe was founded in 1952 by Gaby Aghion, an Egyptain born Parisiene with a dark beauty and bohemian spirit. Rejecting the stiff formality of the 50s fashion, she creates soft, body conscious clothes from fine fabrics and called them “luxury pret-a-porter”. Unique for their time, they are beautifully made clothes available off the rack. BELLYITCH SAYS: It is wonderful that Chloe’s clothes is off the rack, but that only means something if you have $1500 minimum for a one time shopping spree for little Anna or Phillip. This institutional designer only makes gorgeous clothes. Since it’s first creation in 1994, Montreal label Coccoli has stood out both in Canada and in the United States, offering the finest essential clothing essentials for newborns, their brothers and sisters and for moms-to-be. BELLYITCH SAYS: I happened to get my hands on a couple of Coccoli baby clothes and thesoftness is unmatched. The stitching was tops as well. D&G Junior follows the ethos of D&G and embodies youth and fun with the styles of its clothes. Each season follows a set-named trend and is named separately for boys and girls. BELLYITCH SAYS: Trendy, fun clothes for babies and young children. An exclusive range of quality babywear for girls, boys or unisex, specially designed for infants up to 12 months. Ideal as a special present for newborn babies and presented in lovely gift boxes. BELLYITCH SAYS: What a well loved and admired line. It is commonly searched and Bellyitch visitors follow this line which is making its second appearance also on the list. BELLYITCH SAYS: Ooh la la! Estella! eyeSpy Baby is a contemporary collection of cashmere clothing for babies and toddlers. It combines a refreshingly modern approach to color, with an uncomplicated style and a luxurious soft touch. BELLYITCH SAYS: It’s nice to see an American company on the list. You can see this brand in many high end department stores in the states. Nice modern clothes. I love this dress here even if it costs more than several dresses in my closet right now! Il Gufo was found in 1980 by a mother of 3 children under the age of 5 who amused herself by creating her own bibs and clothing. From season to season sales grew and today Il Gufo has stores throughout Italy and has distributors worldwide. Il Gufo takes pride in producing unique hand made, high quality articles made almost exclusively from natural fibers and carefully selected fabrics. BELLYITCH SAYS: This is definitely one of the pricier lines, but is that coat not to die for or what!? Yes, nearly $500!! wow! I can so see Zahra Jolie-Pitt or P Diddy’s twins in this coat though. 22. DESIGNER: I Pinco I Pinco Pallino was created in 1980 by Imelde and Stefano Cavalleri. Today company has over 28 stores in Italy, France, Germany, Switzerland, Russia, Ukraine, Japan, Taiwan, China, Dubai, Saudi Arabia, Bahrain, and Kuwait. The brand can also be found in over 400 specialty shops worldwide. BELLYITCH SAYS: Very high end and international. Loved worldwide. Jacadi’s beginnings are in the passion for childhood. Jacadi’s merchandise is a European style which adapts the latest trends to classic design and allows the customer to “mix and match” the various styles and color groups. Jacadi is a chidrenswear retail company whose collections include clothing, shoes, accessories, furniture and nursery items in newborn thru size 12 years for both boys and girls. BELLYITCH SAYS: This line has lots of greys and conservative clothes. More like for formal occasions. 24. DESIGNER: Jottum Designed by Anky Groothof, a mother of 6, Jottum is the imaginative brand of clothing made in Edam. It owes its fame to Dutch quality and boundless originality. BELLYITCH SAYS: This is a very popular and well liked. The clothes are very DESIGNER. like I can see what the designer was going for when creating each piece. When I see the models wearing the clothes on the company website, they look so pretty, like little people. Reminds me of Renaissance paintings of children dressed like full grown adults…yeah, that’s the feel I get. The clothes are HEAVENLY!! Missoni is one of those Italian fashion companies that have and keep a powerful tradition when creating new products. The huge luxury empire that it now represents started business in 1953 as a small fashion studio in the basement of Rosita and Ottavio’s house in Sumirago, a little town near Milan. BELLYITCH SAYS: The baby clothes are creative and quirky. I love the geometric shapes and exotic patterns. 26. DESIGNER: Monalissa The Monnalisa brand name was established in 1968 and has grown into The Monnalisa group that today distributes its brands to over 50 countries worldwide through a large network of prestigious Boutiques and Department Stores, with corners and shop-in-shop, and in Monnalisa Flagship Shops. BELLYITCH SAYS: A lot of the clothes in this line for girls look quite Victorian which is not my thing, but it is very unique and stands out in a crowd. Very unexpected. BELLYITCH SAYS: Very proper and conservative, but still contemporary. Beautiful. Paper Wings was launched to create sophisticated and inspiring clothing for children that mix past, present and future design ideas. Design influences are wonderfully eclectic, with strong links to historical shapes, traditional crafts, and to both vintage and contemporary graphics. Paper Wings is a creative mix of past, present and future ideas in children product design. Paper Wings focuses on enhancing the lives of children by creating products that positively influence the way they look, feel, play and experience their environment. All pieces are designed to be every day favorites; lovingly worm out rather than outgrown. BELLYITCH SAYS: For the rock star’s kid. The designs in this line rock, literally! yeah baby! LOL! 29. DESIGNER: Petit Bateu Petit Bateau is a classic French brand offering adorable clothing for babies, boys, girls and even moms! For over 100 years, Petit Bateau has been creating quality clothes for children and women of all ages, to bring them softness, well-being, and freedom of movement. Founded and headquartered in France, Petit Bateau was established in 1893. Petit Bateau is a kids and women’s clothing company widely known for their specialization in underwear and undergarments. Petit Bateau is renown for their Milleraies (a thousand stripes per meter) and the Marinière stripes. Style yourself and your kids in this classic French brand. TrendyChic brings you the latest collections in underwear, outfits, and the famous Petit Bateau tees for women. BELLYITCH SAYS: What can I say about a brand that is featured in all the parenting and fashion magazines next to a photo of [insert A list Celebrity child] in one of its signature pieces? Nothing more. ha!BELLYITCH SAYS: What more can be said about a fabulous line that has years of quality branding to back it up? When Madonna came back to LA with baby David Banda in tow, she reportedly dropped $28,000 at Hollywood hotspot Petit Tresor to decorate his nursery. This A-list baby boutique stocks exquisite baby clothes like cashmere hoodies (from $210) and Petit Bateau onesies. Everyone from Kate Hudson, to Britney Spears, Katie Holmes, and even Larry Birkhead (Anna Nicole Smith’s former lover and baby daddy) has been spotted here. BELLYITCH SAYS: Cushy stuff. These clothes look just like the stuff in Baby Gap or Gymboree,but cost like 150 times more so I would guess the materials are better quality and better constructed and will last through many more washes. This is not a slam, just an observation. I didn’t say overhype anything. The store stocks all the top lines so if you happen to pass through, you may bump into a preggers celebrity. I think the papparazzi stationed outside will be your clue. 31. DESIGNER: Room Seven When Brecht Olsthoorn was just a little girl twirling around in dresses her mom made, she had no idea that she had her Mother’s talent. Brecht’s mom was the founder and creative force behind OILILY. In 1994, Brecht realized her talents and created her own whimsical path to Room Seven. BELLYITCH SAYS:I love the colors and the whimsical stylings of the clothes in this line! Yummy! Established in 1969 by Leonard and Diane Given in their livingroom in Liverpool, England, Sarah Louise has now developed into an international organization. This range of clothes, created with the style concious child in mind, includes fashion for girls and boys, baby wear, coats, dresses, outdoor clothes and everything for special occasions. BELLYITCH SAYS: Cute formal clothes. Great for Christenings, Baptisms, formal photos, but to be taken off dry cleaned and rehung promptly afterwards. Wait…unless you get the layette pieces then washing is probably appropriate! LOL! Founded in 1999, by Tammy Donohoe, and orginally commited to the creation of layettes and knitted clothes, the Tammy Donohoe’s Brand now produces some of the finest and most endearing baby & newborn pieces on the Market today. All pieces are handmade, using soft cottons and cashmere, but at the same time being practical and wearable. Tammy started work as a freelance designer at Burberry Spain, followed by spells of modelling at pre-a-porter Paris and also assisting with VIP publicity at the Barcelona Olympics. Currently the Brand sells in some of the most desirable stores and locations in Europe. BELLYITCH SAYS: Such fun pieces! Love this line! 34. DESIGNER: tartine et chocolat Tartine et Chocolat, is above all a style. Simple and refined, modern and yet close to tradition, at Tartine et Chocolat, children stay little children and babies are real babies. Refreshing styles, an eye for detail, exclusive fabrics and patterns, harmonious colours the Tartine et Chocolat style is inimitable. Tartine is the purveyor of exquisite clothing for children and stands alone in its representation of luxurious purity. Distinguished designs, impeccable detail and the finest of fabrics are used in creating this unforgettable collection of clothing. BELLYITCH SAYS: This clothes are tres preppy. Lots of browns, natural tones and greys. Nice and conservative pretty collection. Lots of stuff for boys. WOWO, designer clothing for children from 3 months to 12 years in a very pop, a mixture successful retro-minded, ethnic and graphics. BELLYITCH SAYS: What an innovative designer. Very retro looking stuff. You really have to check out the high fashion bikinis in this line…for babies and kids! Imagine! And if your little man is going to be in a $200 suit, he better be earning his keep by, I don’t know, performing in diaper commercials or something! Yes indeedy!